The Christian Democratic Union of Germany (German: Christlich-Demokratische Union Deutschlands, CDU) was an East German political party founded in 1945. It was part of the National Front with the Socialist Unity Party of Germany (SED) and a bloc party until 1989. It contested the free elections in 1990 as an arm of the West German Christian Democratic Union, into which it merged after German reunification later that same year. The CDU was originally very similar to its West German counterpart. Like the West German CDU, its support came mostly from devout middle class Christians. However, it was a little more left-leaning than the West German CDU. 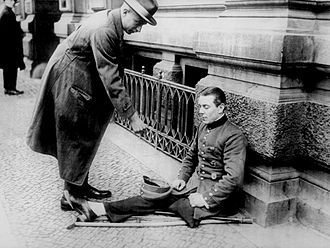 Its first chairman was Andreas Hermes, who had been a prominent member of the Centre Party during the Weimar Republic and a three-time minister. He fled to the West in 1946 and was replaced by Jakob Kaiser, another former Centre Party member. Kaiser had been a prominent member of the Centre's left wing, and favoured nationalisation of heavy industries and a land distribution programme suggested by the Communists. However, his criticism of the Communists resulted in him being pushed out in 1947 in favour of the more pliant Otto Nuschke, a former member of the German Democratic Party (DDP). Nuschke and his supporters gradually pushed out those CDU members who were not willing to do the Communists' bidding. This culminated at the Sixth Party Congress in 1952, at which it formally transformed itself into a loyal partner of the Communists. At this gathering, it declared itself "a Socialist party without any limitations" in accordance with the new line of "Christian realism". In the 22 "Theses on Christian Realism", the CDU committed itself to the "Socialist reorganisation of Society" (1st edition, 1951). 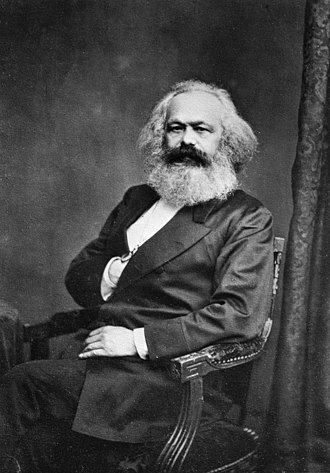 Emphasising the "exemplary realisation" of Karl Marx's "teaching on building a new, better social order" in the USSR, it was declared that Socialism offered at the time "the best opportunity for the realisation of Christ's demands and for exercising the practical Christianity". The programme also asserted the CDU's support for the working class' leading role in establishing socialism, a development which the party regarded from its 6th Congress onward as "historically necessary and consistent". Its deputies, like all other East German parties, consistently voted for the government's proposals in the Volkskammer. The only exception was the March 9, 1972 vote on the abortion law, when there were 14 'nays' and 8 absentees among the CDU deputies. After Nuschke's death, August Bach, another former DDP member, led the party for the remainder of the 1950s. In 1966 long-time general secretary Gerald Götting was elected chairman. 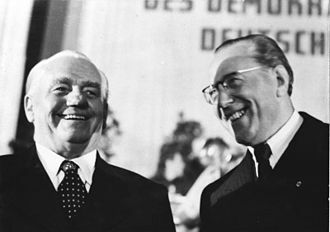 Götting, who was chairman of the Volkskammer (and de facto vice president of the GDR) from 1969 to 1976, carried on and elaborated the pro-government line. 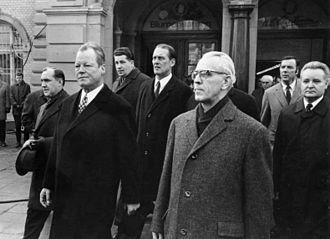 Götting remained chairman and an SED ally until Erich Honecker was deposed in favour of Egon Krenz in October 1989. On 2 November 1989, Götting was deposed by inner party reformers. In December 1989 Lothar de Maizière, a lawyer and deputy chairman of the Evangelical Church Synod of East Germany was elected chairman. From that point on the party deposed (and later expelled) its former top figures, and became the strongest proponent of speedy reunification with West Germany. In March 1990, the CDU became the main element of the Alliance for Germany, a centre-right coalition. It won the first (and as it turned out, only) free general elections and became the biggest party in the People's Chamber. In April de Maizière became Prime Minister of the GDR, heading a grand coalition that immediately set about reuniting the country with the West. In August 1990, the Democratic Awakening, a minor member of the governing coalition, merged into the East German CDU. The merger brought Democratic Awakening spokeswoman and future Chancellor of Germany Angela Merkel into the party. In October 1990, the East German CDU merged into the West German CDU. 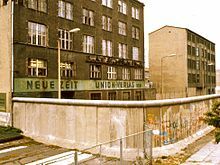 Exterior of Neue Zeit building, rear view, with the Berlin Wall in the foreground, 1984. The official newspaper of the party was Neue Zeit, published by Union: Verlag. The CDU maintained close relations with other Christian democratic parties in the Soviet bloc. Relations with the progressive Catholic PAX Association in Poland and the Czechoslovak People's Party (CSL) were especially close. There were some contacts with individual members of the Italian Christian Democracy party (DC), the Belgian Christian People's Party (CVP) and Christian Social Party (PSC) and the Dutch Christian Democratic Appeal (CDA). Although the East German CDU and its West German counterpart were often at odds with each other, they maintained official relations. The East German Christian Democrats also had close relations with the Russian Orthodox Church. The Berlin Wall was a guarded concrete barrier that physically and ideologically divided Berlin from 1961 to 1989. Its demolition officially began on 13 June 1990 and was completed in 1992, the barrier included guard towers placed along large concrete walls, which circumscribed a wide area that contained anti-vehicle trenches, fakir beds and other defenses. The Eastern Bloc claimed that the Wall was erected to protect its population from fascist elements conspiring to prevent the will of the people in building a socialist state in East Germany. 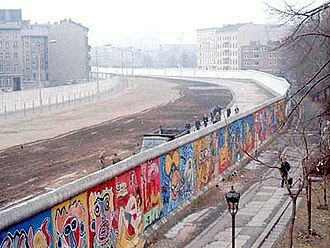 In practice, the Wall served to prevent the massive emigration and defection that had marked East Germany, the West Berlin city government sometimes referred to it as the Wall of Shame—a term coined by mayor Willy Brandt—while condemning the Walls restriction on freedom of movement. 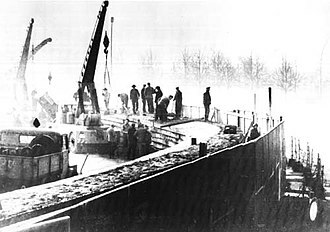 Between 1961 and 1989, the Wall prevented almost all such emigration, during this period, around 5,000 people attempted to escape over the Wall, with an estimated death toll ranging from 136 to more than 200 in and around Berlin. After several weeks of civil unrest, the East German government announced on 9 November 1989 that all GDR citizens could visit West Germany, crowds of East Germans crossed and climbed onto the Wall, joined by West Germans on the other side in a celebratory atmosphere. Over the next few weeks, euphoric people and souvenir hunters chipped away parts of the Wall, contrary to popular belief the Walls actual demolition did not begin until the summer of 1990 and was not completed until 1992. 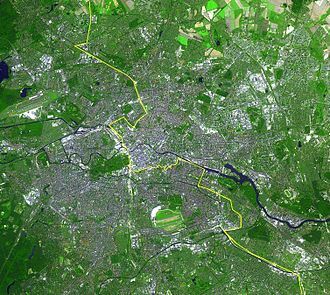 The fall of the Berlin Wall paved the way for German reunification, the capital of Berlin, as the seat of the Allied Control Council, was similarly subdivided into four sectors despite the citys location, which was fully within the Soviet zone. Within two years, political divisions increased between the Soviets and the occupying powers. Property and industry was nationalized in the East German zone, if statements or decisions deviated from the described line and punishment would ensue, such as imprisonment and even death. 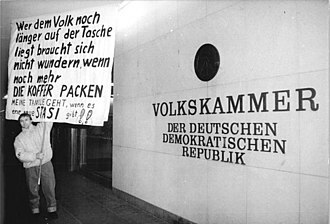 The NF was controlled by the Socialist Unity Party of Germany and was formed to stand in elections to the East German parliament, the Volkskammer. The Front itself was founded on March 30,1950 and it operated through the issuing of a generally consistent proportion of seats submitted in the form of a single list of candidates during each election to the Peoples Chamber. Seats were awarded on the basis of a set rather than vote totals. As voters only had the option of approving or rejecting the list in far-from-secret conditions, although nominally a broad-based coalition of parties, in practice the SED was the only one with any real power. By ensuring that Communists dominated the lists, the SED essentially predetermined the composition of the Peoples Chamber. In 1950-1951, the rejection of the validity of the list by some German politicians resulted in some of them being imprisoned for rejecting the electoral law of the German Democratic Republic. Although the SED had already become a full-fledged Stalinist party of the new type by the formation of the GDR, the other parties did not completely bend to the SEDs will for a time. The partys dominant figure from 1950 to 1971, and effective leader of East Germany, was Walter Ulbricht. In 1953, an uprising against the Party was met with violent suppression by the Ministry of State Security and the Soviet Army. 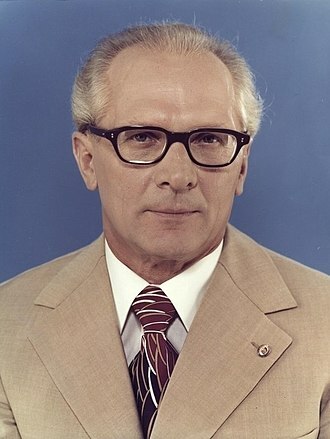 In 1971, Ulbricht was succeeded by Erich Honecker who presided over a period in the development of the GDR until he was forced to step down during the 1989 revolution. The partys last leader, Egon Krenz, was unsuccessful in his attempt to retain the SEDs hold on political governance of the GDR and was imprisoned after German reunification, the SEDs long-suppressed reform wing took over the party in the fall of 1989. In hopes of changing its image, on 16 December it renamed itself the Party of Democratic Socialism, abandoning Marxism–Leninism and it received 16. 4% of the vote in the 1990 parliamentary elections. 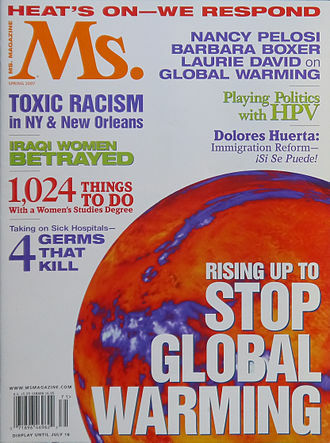 In 2007, the PDS merged with Labour and Social Justice into The Left, official East German and Soviet histories portrayed this merger as a voluntary pooling of efforts by the socialist parties. However, there is evidence that the merger was more troubled than commonly portrayed. By all accounts, the Soviet occupation authorities applied pressure on the SPDs eastern branch to merge with the KPD. 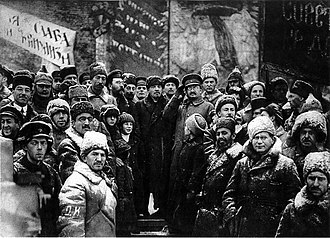 The newly merged party, with the help of the Soviet authorities, these elections were held under less-than-secret conditions, thus setting the tone for the next four decades. A truer picture of the SEDs support came with the elections in Berlin. In that contest, the SED received less than half the votes of the SPD, the bulk of the Berlin SPD remained aloof from the merger, even though Berlin was deep inside the Soviet zone. The Soviet Military Administration in Germany directly governed the areas of Germany following World War II. Also reported was a deal of difficulty in convincing the masses that the SED was a German political party. Soviet intelligence claimed to have a list of names of an SPD group within the SED that was covertly forging links with the SPD in the West, a problem for the Soviets that they identified with the early SED was its potential to develop into a nationalist party. Yellow is the color between green and orange on the spectrum of visible light. 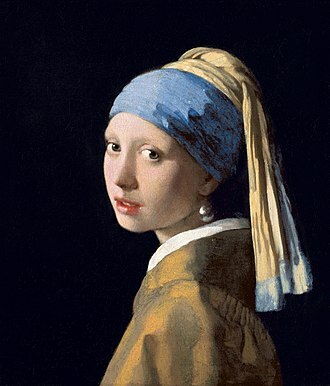 It is evoked by light with a predominant wavelength of roughly 570–590 nm, in traditional color theory, used in painting, and in the subtractive color system, used in color printing, yellow is a primary color. In the RGB color model, used to create colors on television and computer screens, yellow is made by combining red, the word yellow comes from the Old English geolu, meaning yellow, derived from the Proto-Germanic word gelwaz yellow. It has the same Indo-European base, gʰel-, as the gold and yell. In Iran it has connotations of pallor/sickness, but wisdom and it plays an important role in Asian culture, particularly in China, where it is seen as the color of happiness, wisdom and culture. The word yellow comes from the Old English geolu, meaning yellow, yellowish and it has the same Indo-European base, gʰel-, as the words gold and yell, gʰel- means both bright and gleaming, and to cry out. 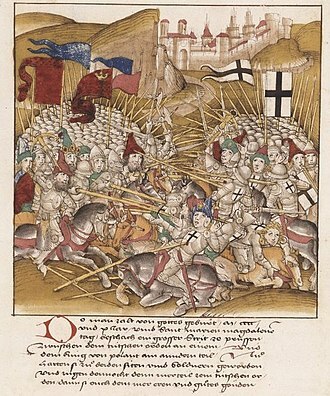 The English term is related to other Germanic words for yellow, namely Scots yella, East Frisian jeel, West Frisian giel, Dutch geel, German gelb, and Swedish and Norwegian gul. According to the Oxford English Dictionary, the oldest known use of word in English is from The Epinal Glossary in 700. Yellow, in the form of yellow pigment made from clay, was one of the first colors used in prehistoric cave art. The cave of Lascaux has an image of a horse colored with yellow estimated to be 17,300 years old, in Ancient Egypt, yellow was associated with gold, which was considered to be imperishable and indestructible. The skin and bones of the gods were believed to be made of gold, the Egyptians used yellow extensively in tomb paintings, they usually used either yellow ochre or the brilliant orpiment, though it was made of arsenic and was highly toxic. A small paintbox with orpiment pigment was found in the tomb of King Tutankhamun, men were always shown with brown faces, women with yellow ochre or gold faces. The ancient Romans used yellow in their paintings to represent gold and it is found frequently in the murals of Pompeii. 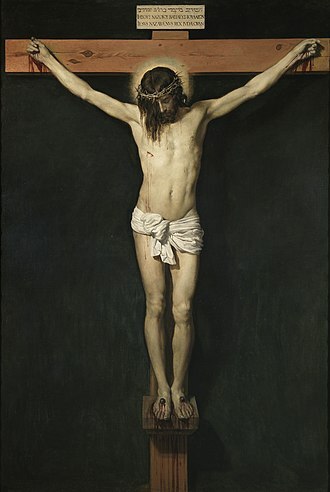 During the Post-Classical period, yellow became firmly established as the color of Judas Iscariot, from this connection, yellow took on associations with envy and duplicity. 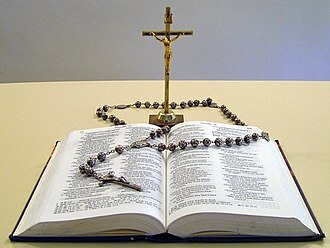 The Christian Democratic Union of Germany is a Christian democratic and liberal-conservative political party in Germany. It is the major party of the centre-right in German politics. The CDU forms the CDU/CSU grouping, known as the Union, the leader of the CDU, Angela Merkel, is the current Chancellor of Germany. The CDU is a member of the Centrist Democrat International, International Democrat Union, immediately following the collapse of the Nazi dictatorship at the end of World War II, the need for a new political order in Germany was paramount. Simultaneous yet unrelated meetings began occurring throughout Germany, each with the intention of planning a Christian-democratic party, the Christlich-Demokratische Union was established in Berlin on 26 June 1945, and in Rheinland and Westfalen in September of the same year. The founding members of the CDU consisted primarily of members of the Centre Party, German Democratic Party, German National Peoples Party. In the Cold War years, after World War II up to the 1960s, a prominent anti-Nazi member was theologian Eugen Gerstenmaier who became Acting Chairman of the Foreign Board. 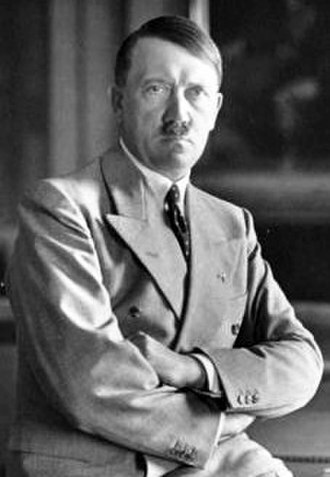 One of the lessons learned from the failure of the Weimar Republic was that disunity among the parties ultimately allowed for the rise of the Nazi Party. It was therefore crucial to create a party of Christian Democrats – a Christian Democratic Union. 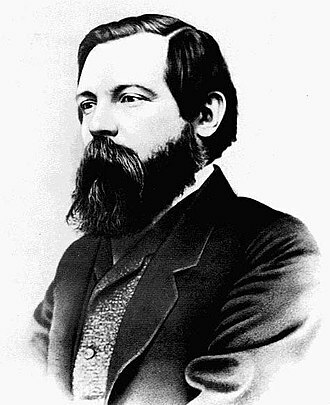 The result of meetings was the establishment of an inter-confessional party influenced heavily by the political tradition of liberal conservatism. 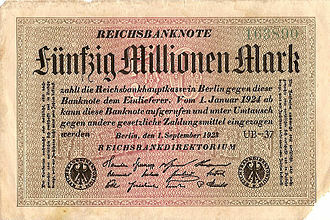 The latter was more nationalist and sought German reunification, even at the expense of concessions to the Soviet Union, the Western powers appreciated the CDUs moderation, its economic flexibility and its value as an oppositional force to the Communists, which appealed to European voters at the time. Also, Adenauer was trusted by the British, the party was split over issues of rearmament within the Western alliance and German unification as a neutral state. Adenauer staunchly defended his position and outmanoeuvred some of his opponents. He refused to consider the SPD as a party of the coalition until he felt sure that they shared his anti-Communist position, the CDU was the dominant party for the first two decades following the establishment of West Germany in 1949. A political spectrum is a system of classifying different political positions upon one or more geometric axes that symbolize independent political dimensions. Most long-standing spectra include a wing and left wing, which originally referred to seating arrangements in the French parliament after the Revolution. According to the simplest left–right axis and socialism are usually regarded internationally as being on the left, liberalism can mean different things in different contexts, sometimes on the left, sometimes on the right. Those with an intermediate outlook are classified as centrists or moderates, politics that rejects the conventional left–right spectrum is known as syncretic politics. Political scientists have noted that a single left–right axis is insufficient for describing the existing variation in political beliefs. 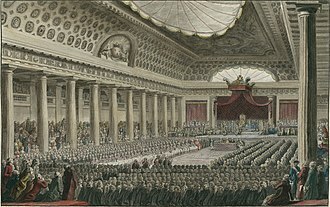 As seen from the Speakers seat at the front of the Assembly, the aristocracy sat on the right, the defining point on the ideological spectrum was the Ancien Régime. 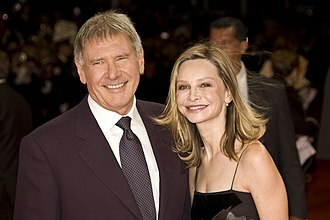 The Right thus implied support for aristocratic or royal interests, and the church, while The Left implied support for republicanism and civil liberties. 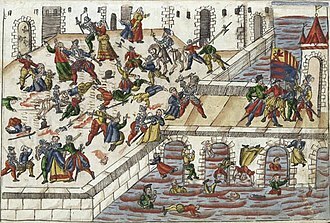 Because the political franchise at the start of the revolution was relatively narrow, the original Left represented mainly the interests of the bourgeoisie and their political interests in the French Revolution lay with opposition to the aristocracy, and so they found themselves allied with the early capitalists. However, this did not mean that their interests lay with the laissez-faire policies of those representing them politically. As capitalist economies developed, the aristocracy became less relevant and were replaced by capitalist representatives. This evolution has often pulled parliamentary politicians away from laissez-faire economic policies, for almost a century, social scientists have considered the problem of how best to describe political variation. In 1950, Leonard W. Submitting the results to factor analysis and this system was derived empirically, rather than devising a political model on purely theoretical grounds and testing it, Fergusons research was exploratory. The Peoples Chamber was the unicameral legislature of the German Democratic Republic. Despite the appearance of a multi-party system, all these Bloc parties were completely subservient to the SED, in addition, seats were allocated to various mass organizations affiliated with the SED, such as the Free German Youth. 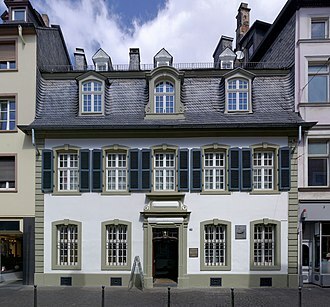 Initially, it was the house of a bicameral legislature. The upper chamber was the Chamber of States, or Länderkammer, but in 1952 the states of East Germany were dissolved, in theory, the Volkskammer was the highest organ of state power in the GDR. Both GDR constitutions vested it with great lawmaking powers and it formally appointed the Council of State, the Council of Ministers, and the National Defence Council. All other branches of government—including the judiciary—were theoretically responsible to it, in practice, like most other legislatures in Communist countries, the Peoples Chamber did little more than rubber-stamp decisions already made by the SED and its Politburo. All parties were expected to respect the principles of democratic centralism, as a result, all but two measures put before it before the Peaceful Revolution passed unanimously. 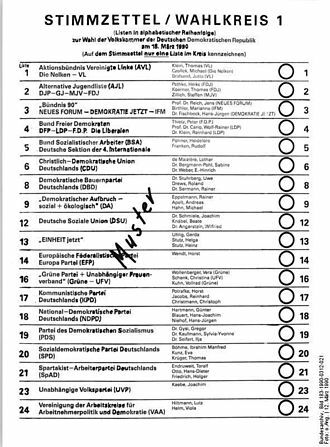 A1972 vote on liberalising abortion laws saw 14 CDU representatives vote nay and eight abstain, during Peoples Chamber elections, voters were presented with a single list from the National Front, with seats allocated based on a set quota rather than actual vote totals. By ensuring that its candidates dominated the list, the SED effectively predetermined the composition of the legislature, the democratic centralist principle extended to the ballot box as well. A voter simply took the paper, which contained only one name. A voter could vote against the candidate by crossing out his or her name, the consequences for such an act of defiance were severe—loss of ones job or expulsion from school, and close surveillance by the Stasi. The table below shows an overview of the results of all parliamentary elections before 1990. ¹Eastern Bureau of the Social Democratic Party of Germany In 1976, the Volkskammer moved into a building on Marx-Engels-Platz. On paper, the president of the Peoples Chamber was the third-highest post in the GDR and was vice president of the country. Egon Rudi Ernst Krenz is a former East German politician who was the last communist leader of East Germany during the final months of 1989. He succeeded Erich Honecker as the General Secretary of the ruling Socialist Unity Party of Germany, throughout his career, Krenz held a number of prominent positions in the SED. He was Honeckers deputy from 1984 onward, until he succeeded him in 1989 amid protests against the regime, Krenz was unsuccessful in his attempt to retain the communist regimes grip on power, and was forced to resign some weeks after the fall of the Berlin Wall. After German reunification in 1990 he was sentenced to six and a half years in prison for manslaughter and he retired to the small town of Dierhagen in Mecklenburg-Vorpommern upon his release from prison in late 2003. 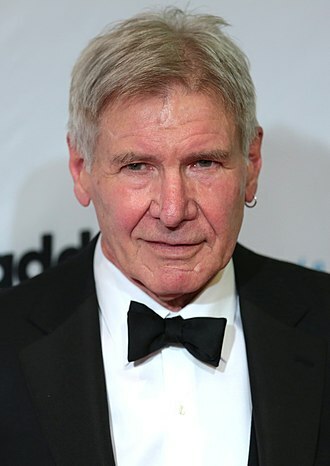 Krenz was born in Kolberg in what was part of Germany and his family resettled in Damgarten in 1944. After serving in the Volksarmee, Krenz joined the Socialist Unity Party of Germany in 1955, throughout his career, Krenz held a number of posts in the SED and the communist government. He was leader of the Ernst Thälmann Pioneer Organisation from 1971 to 1974 and he was a member of the Peoples Chamber from 1971 to 1990, and a member of its presidium from 1971 to 1981. Between 1974 and 1983, he was leader of the communist youth movement, from 1981 to 1984 he was a member of the Council of State. In 1983 he joined the Politburo and became a secretary of the committee with responsibility for security. He rose to prominence when he became Honeckers deputy on the Council of State in 1984. Around the same time, he replaced Paul Verner as the unofficial number-two man in the SED leadership, although he was the youngest member of the Politburo, speculation abounded that Honecker had tapped him as his heir apparent. Krenz had been approached several months earlier about ousting Honecker, but was reluctant to move against a man he called my foster father and political teacher. He was initially willing to wait until the seriously ill Honecker died, despite many protests, the Peoples Chamber elected Krenz to both of Honeckers major state posts—Chairman of the Council of State and Chairman of the National Defence Council. View from the West Berlin side of graffiti art on the Wall in 1986. The Wall's "death strip", on the east side of the Wall, here follows the curve of the Luisenstadt Canal (filled in 1932). 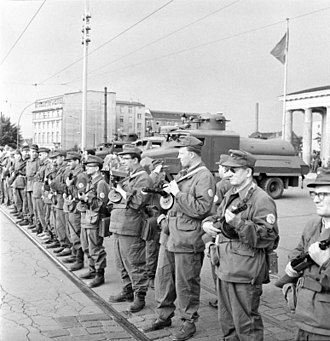 East German Combat Groups of the Working Class close the border on 13 August 1961 in preparation for the Berlin Wall construction.